A recent news article listed jobs that are on the decline such as Desktop Publisher, Reporter, Semiconductor Processor, Insurance Appraiser…and more. Instead of these four job functions, alternative careers include: Graphic Designer, PR Specialist, Database Administrator and Cost Estimator. For PR professionals, the outlook is good. According to the U.S. Department of Labor, the PR field is expected to grow 23 percent between 2010 and 2020. Thanks to the Internet revolution and the growth of social media in particular, the need for communications professionals to be proactive in dealing with bad news or spreading good news is critical. A bachelor’s degree in one of the following areas is the typical entry path: public relations, communications, journalism, English or business. Job declines in those areas seem to have ties to the fact that as technology advances and the internet and social media is on the rise, the need for what was convenient earlier on, is now more advance and more efficient. Some of the careers are almost close to the same along the lines in my opinion, just with a little more advancement with technology, and this era. As the internet and social media start to dominate, some of the careers that weren’t as popular before (as PR and graphic design) are growing now because of the popularity of the internet and social media, and what once was popular (reporter and desktop publisher) is now in decline because the shift and increase in internet/social media. It’s not surprising to me that PR and other communication roles are expanding, considering all of the touch points businesses now have to consider. Their reputation isn’t just on the line anymore, it’s online now, and with out professional communicators to manage it, there can be lots of damage done. I saw a minor PR crisis unfold for Microsoft’s Xbox gaming division. One of their creative directors made a really rude comment in response to a consumer’s opinion about their next game console. This back and forth went for about three days via Twitter and email before the Microsoft employee was fired. The Internet provides a great opportunity for businesses to connect with consumers like never before, but it is also frought with peril. This is why PR professionals are needed now more than ever. Yes, not only was he talking about potential features that hadn’t been released, he failed to act as an appropriate representative for the company. As social media interaction continues down the path of ubiquity, PR representatives will have a much more complex role. When each member of your workforce has a Twitter account and a soapbox to the outside world, the level of accountability significantly increases. As these careers continue to rise, let’s hope this also translates to a boost in personal income for PR professionals. I completely agree with Renee about technology changing the way social media is used for news. Personally I have a twitter account but I only use it for news. It allows me to follow certain journalists that I trust and it’s the quickest way to get news in my opinion. Often the news I get are retweets from pr releases from businesses and organizations. I find it interesting when I see a business that has a pr disaster and frequently it’s because there isn’t a pr system in place to protect the company from themselves. Aside from the statistic provided above, during the time period of 2010 to 2020, an additional 58,200 jobs will need to be filled. Because of its promising outlook, the public relations specialist profession has claimed the 51 spot on the 2013 list of Best Jobs, right behind construction manager. Based on this statistics, public relation specialist is definitely an attractive career to go. However, A public relations specialist job requires writing skills, critical thinking ability, fast turnaround, patience, a thick-skin mentality, and creativity. They should be able to demonstrate real accomplishments and have broad networks. Furthermore, Public relations specialists must have an outgoing, self-confident, and friendly personality. Those required skills and personalities add more difficulties and challenges to being a public relations specialist. But, there is a saying, “no pain, no gain”. Your efforts will be finally paid off eventually. After reading this blog, I have learned more about dying careers in the modern times. Here, from what I heard in the daily life, I have to say the job of reporter is very difficult. However, according to this article, “Dying careers you should avoid”, in the new world of advanced technology- Facebook, Twitter, and all things Web, the public image of a company has never been more important, and so the role of public relations specialist is a vital one. The job of the public relations professional is very much that of an “interpreter,” in which he or she interprets management to the public and the public to management. Furthermore, the Internet revolution and the growth of social media indeed play a significant role as public relations grows, nearly 1.4 billion of the world’s people today use the Internet. The extraordinary growth of the Internet and the World Wide Web has made hundreds of millions of people around the world not only “instant consumers” of communication but also, with the advent of social media, “instant generators” of communication as well. Finally, expenditures on PR are also increasing. It seems as we create more technology to “make our lives easier,” we also push ourselves out of a job. I have been affected by rapid change in technology. I originally received an associates in digital imaging and prepress technology. which basically means that I would be qualified to work in a print shop. But, at the time I went to school, technology was improving and there wasn’t too many options. I was taught to double check fonts, colors and margins on documents before they were mass printed to insure accuracy and cohesion. But today, a computer does that and print shops have gone digital so there’s less room for error. This is the main reason for my choice to pursue a degree in marketing, In hopes that I will still be eligible for a job upon graduation. This is good news! it’s incredible how advanced technology has changed our lives. Initially going to college I considered psychology, then journalism, then psychology (again, until I realized how much schooling was needed to actually make any money from it), then journalism (until I realized how much money is made in that field) and finally I settled on marketing as an attempt to combine the two favorites. I’m still completely happy with my choice but I have a strong interest in communication and public relation fields. I guess I’m thinking in the right direction now! 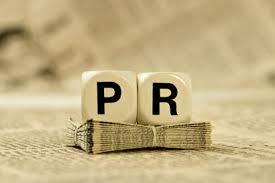 The PR outlook is good because today companies have a very involved relationship with the public. There is so much social media, enough where even the smallest mistake by a company can go viral. For this reason companies need someone on constant alert to handle daily situations that arise. 23% increase in PR careers in 10 years honestly seems small compared to how far we have come 10 years prior. There is no telling how far the world will go in technology with the internet and new social media forms. That is why it is of the utmost importance for PR professionals to keep up with the current trends in the field at all times. I think 5 years into the 10 years that PR profession is expected to grow 23% we have already seen significant decrease in journalism. I like to see that the profession of PR is increasing and that their will be more jobs in PR over journalism. PR in sports on a professional race team is one way that I have seen the increase in PR professionals, as the teams get bigger the more PR professionals are needed. PR will continue to increase as the internet and social media increases. The more social media sites their are bigger than need for PR professionals to work their magic in creating a positive impact is needed. This is good news for the PR industry. The decline in journalism, and the limited choices of universities that teach journalism, spurned my decision to look at marketing and advertising as potential paths. I’m certain many people in journalism have made similar decisions to become PR professionals. I hope journalism comes back someday. I’m getting tired of reading poorly written and clearly biased articles on the web. Misinformation spreads like wildfire. We’re entering an age where credibility isn’t considered by the reader; being published is all the credibility they need. With an audience wiling to accept poor quality, it isn’t any wonder when that poor quality becomes a crisis. I guess the internet has created a greater need for PR than journalism. Im excited by the growth opportunities in the PR field! Throughout the term, I have learned so much and developed more of an understanding of the PR job description. Although I am not sure its the career I will ultimately choose, I do have an interest in learning more about the career, and am encouraged by the expansion of job opportunities. I think it’s very sad that there are fewer reporters. This is part of a process of streamlining the mainstream news, while the social media and alternative news outlets hopefully get more attention. But from a top down view of things, this is very dangerous. One of the reasons that there are fewer reporters is because big companies are buying all the newspapers and then using the same content. There are less local reporters and I think that is dangerous, because trained reporters have skills that PR people don’t. They also are willing to ask tough questions, where as I think the weakness of PR is that it doesn’t like to answer tough questions, but rather to make sure the organization they represent looks good.